Premier Burt said, “On behalf of the Government and the people of Bermuda, it is my pleasure to open this year’s Bermuda Captive Conference. “Many of you have travelled from overseas to attend our largest annual international business event – I offer you a warm welcome. To our residents, and those already involved in the Bermuda captive market, I thank you for your commitment to maintaining our position as the top global captive jurisdiction. 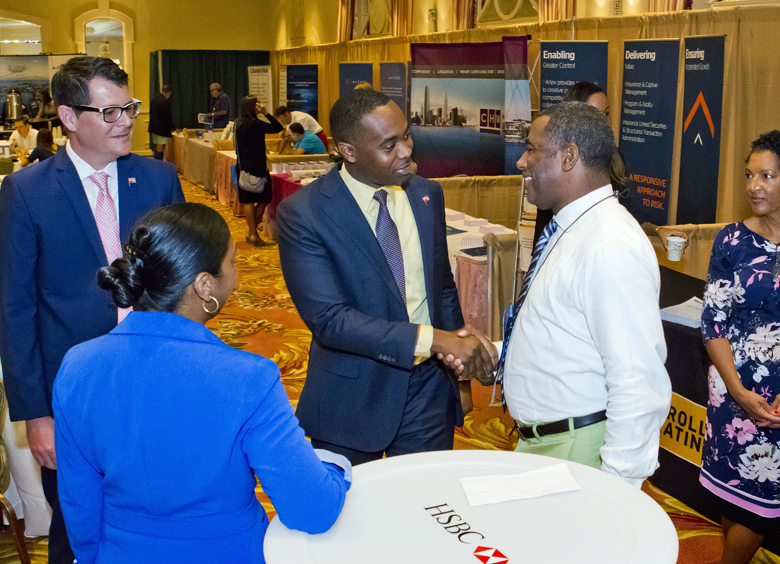 “Bermuda is home to nearly 800 captive insurance companies supporting primarily Fortune 500 corporations in the US and generating over $55 billion in annual gross written premiums. “It is a market that has long been a symbol of global excellence to corporations around the world, and which has provided captive services for half a century. 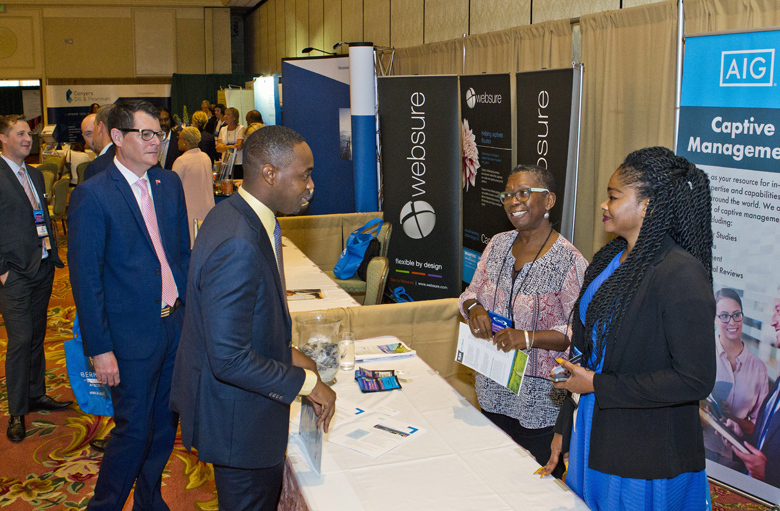 Represented here today are Bermuda and overseas based captive professionals, owners and service providers. 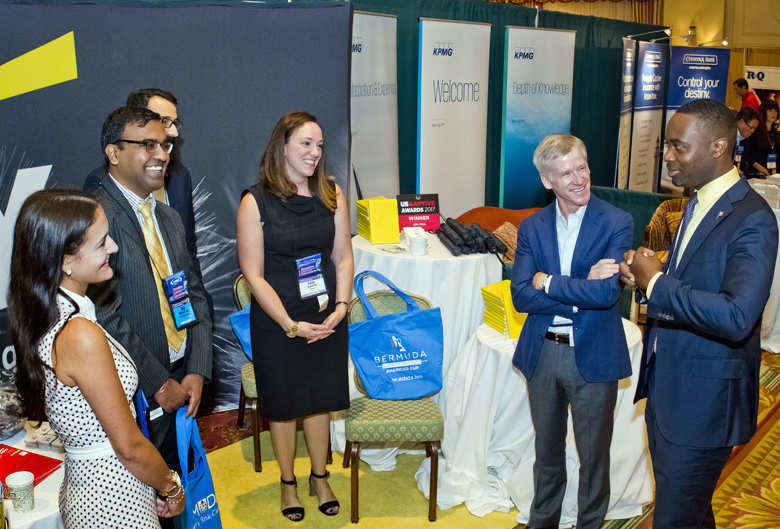 “You are among the world’s leading professionals in the captive insurance movement and I hope that the next few days provide much thought-provoking discussion and exploration of new information coming out of the captive world. “After all, this is the most significant concentration of captive expertise to be found, anywhere, serving business interests across a wide cross-section of industries and competencies. “Bermuda is a mature insurance market – not just the leading domicile for captive insurance – but also the home to a vibrant commercial insurance industry and a world capital for global reinsurance. You cannot find that focus of industry talent in any other captive domicile. “In 25 sessions over the next three days, you will experience a wide variety of discussions and several networking opportunities, allowing for a wide focus on many topics such as insurtech, cyber-risk, employee benefits, claims handling, and investment strategies. “The conference aims to not only provide existing captive clients with the tools they need, but the opportunity for everyone to learn about the possibilities and trends. With the involvement of Bermuda’s suite of service providers, I am confident that the conversations that unfold over the coming days will prove fruitful. “As Premier and Minister of Finance, I am well aware of the significant contribution to the island from the captive insurance community. It employs hundreds of people, generates fee income, revenue to the government and the regulator, and supports local businesses. “While the captive industry does not always receive the headlines the larger, commercial insurers and reinsurers do, there is no doubt that the captive market is of compelling importance to Bermuda. “It has been a sterling part of the island for five decades, and provides future opportunities for continued growth and employment for Bermudians. While our history and experience is a great asset to us, Bermuda is also focused on innovation and looking to the future of the market. “Bermuda’s position as the number-one captive domicile means we have traditionally played a leading role in determining the industry’s future. Therefore, the Government intends to continue to collaborate with regulators and the captive community to retain this important industry’s global stature so that it may continue to bring significant benefits to Bermuda. “I must, of course, also speak to the benefits Bermuda brings to the market. In just the last two weeks we have seen the impact of Hurricanes Harvey and Irma. It has been heart-wrenching to see the images of destruction coming out of Texas, Florida and the Caribbean. “It is already projected that Bermuda’s reinsurers will be making cash claims payments of at least $15 billion to their US clients in Texas and Florida from just these two hurricanes by year end. On top of that conservative estimate, there is a wide range of possible additional reinsurance payments. “Looking over the period from 2000 to 2017, insiders estimate Bermuda’s reinsurers will have paid more than $50 billion to US clients relating to claims over catastrophe losses. “In the coming weeks and months, Bermuda will, once again, demonstrate its enormous value in making US consumer insurance markets more competitive, keeping prices low, shielding tax payers from assessments and speeding economic recovery. “Bermuda’s reinsurers support government reinsurance programmes in the US National Flood Insurance Programme, the Texas Windstorm Insurance Association, the Florida Hurricane Catastrophe Fund and the Citizens Property Insurance Corporation. Bermuda’s reinsurers are also the leading providers of catastrophe reinsurance to private insurers in Texas and Florida. “Being based in Bermuda does not just financially benefit companies; it creates a structure to quickly restore the lives of those who have been tragically affected. “While Bermuda is the largest, the oldest, and the most well-established captive domicile other aspects of its insurance community have made it a centre of industry innovation for the convergence between reinsurance and capital markets. It is the jurisdiction of choice for the innovative asset class of insurance linked securities. 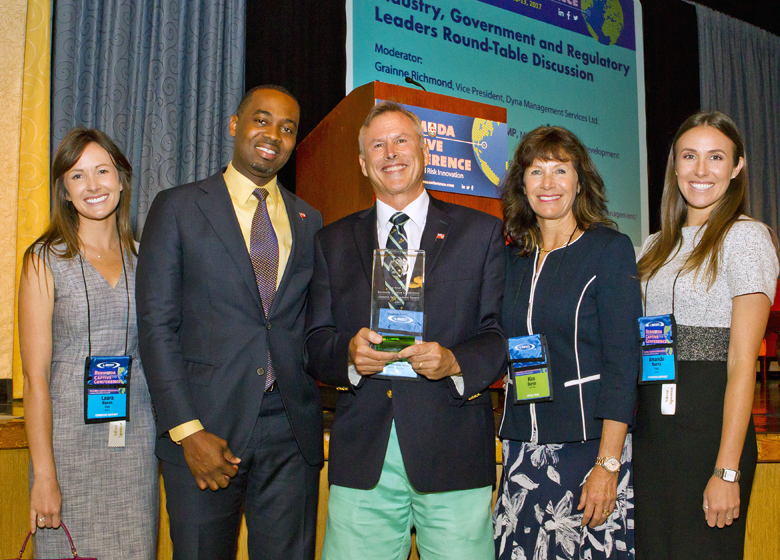 “Bermuda’s excellence in global risk management has been due, in a large part to strong regulation through the integrated regulator, the Bermuda Monetary Authority. “Strong and useful regulation is critical to today’s financial markets. The Bermuda Monetary Authority, with the backing of the insurance industry and the Government, has always sought effective supervision combined with coordination among regulatory peers in other jurisdictions, such as the National Association of Insurance Commissioners. Nice to see him opening things.